Searching for a beautiful, extremely versatile, all-natural floor with unlimited design possibilities? You need go no further than ceramic tile. 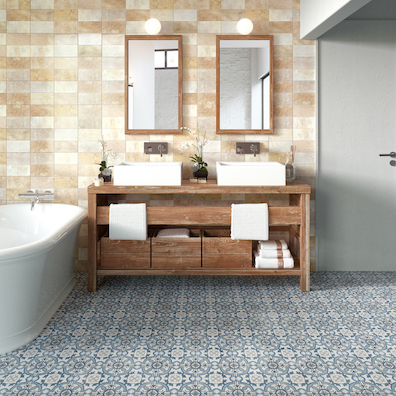 Ceramic has a classic, handcrafted look that’s durable and easy to care for, works well in areas with high foot traffic and is especially suited to spaces where water and dirt are an issue – think kitchens, basements, laundry rooms, entry ways. In other words, it can stand up to anything your busy household can throw at it. You won’t have to worry about cuts, gouges and tears like you do for other flooring. It also resists stains and odors. And, with proper maintenance, a ceramic tile floor could last 50 years or more. 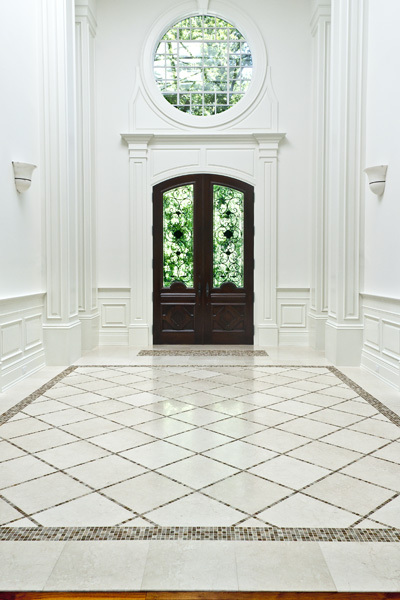 Plus, the custom possibilities with ceramic tile are literally endless – everything from varying shades and sizes, custom borders, trim pieces and insets, to full blown mosaic art on your floor. You can even take two completely different products or colors and marry them into one floor for a stunning look that is all your own! Ceramic tile often turns to Mother Nature for its most inspired designs, many practically indistinguishable from the “real” thing. 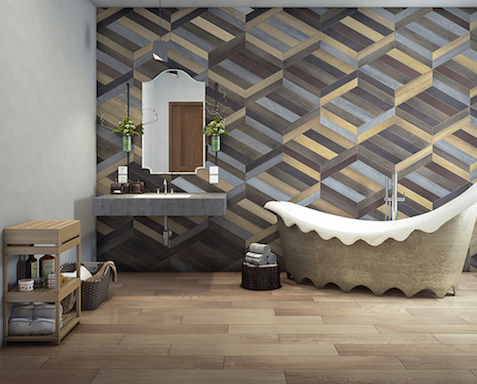 Advances in printing technology have made their presence felt in ceramic tile to the point where some of the most convincing and gorgeous wood and stone looks I’ve seen are actually ceramic tile. With a mind-numbing array of choices from vibrant colors and sleek or even textured surfaces that mimic stone, hardwood or anything else you can imagine, ceramic tile offers the broadest selection of any flooring product. So many choices can make it difficult to decide what you really want! And that may be the biggest challenge you’ll find with choosing ceramic or porcelain tile – beyond price (which can be quite high as both the product itself and the installation costs can get pricey). And don’t forget all the trim pieces – virtually every collection of ceramic tile offers a wide range of trim pieces, accents and listellos, as well as transitions that take you from one room to another.